When Bianca Savage noticed some worrying symptoms with her youngest son Mason she naturally became concerned. It was a gradual process at first, with her active 10 year old suddenly displaying extreme exhaustion when playing football, drinking more water and going to the toilet on a more regular basis. It was 13 July last year that Bianca and the family were given the diagnosis that Mason had Type 1 Diabetes, and it shook them to their core. Within eight days of the original doctor’s appointment, Bianca had Mason went back at her regular family doctor who diagnosed Mason on the spot. For mum of three, Bianca, the diagnosis was a complete shock and something the family is still learning to cope with. 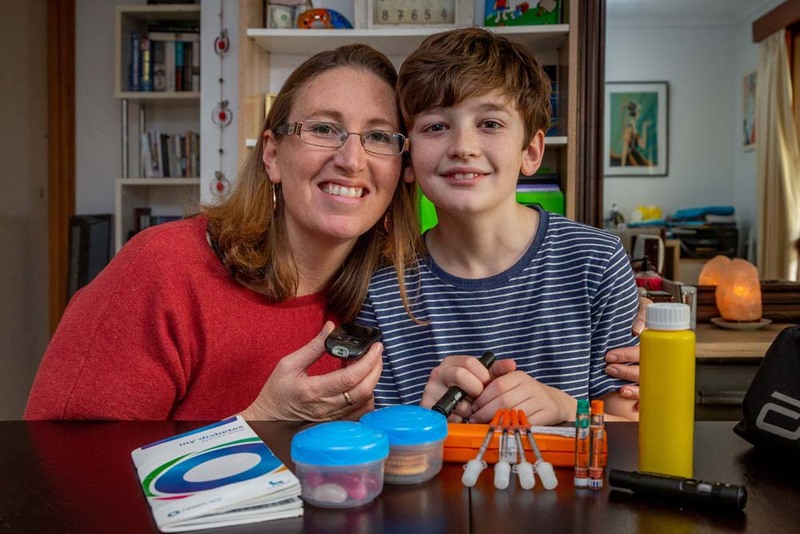 “We really didn’t know anything about it and of course I was really worried because of the state of my son’s health and the fact he would be insulin dependent,” said Bianca, who then learnt that Type 1 diabetes is when the pancreas no longer produces insulin, a hormone your cells use to turn sugar into energy. Bianca says that, even a year later, they’re still learning about the diagnosis and living with it every day. It has been a long road for the Savage family since July last year with everyone having to adjust but Bianca says the toughest part is remaining positive. For Mason to keep on top of his levels, he has to do a blood test four times a day and self-inject at breakfast, lunch, dinner and before bed. “It doesn’t really hurt when I do it and I use different arms and my legs each time to make sure I don’t get scar build up,” said Mason, who shows us how to do the “inject and blood” test while we are there. For the grade four student, part of the management is to eat small, frequent meals. Photo: Bianca (Mum) and Mason Savage. “I eat six meals a day that mum or my family make for me,” said Mason. “With his food, it has to be one to three serves of carbohydrates in each meal and about two hours apart,” said Bianca, who visits the dietitian clinic every Thursday for advice and guidance. “I think the food is one of the hardest things as it makes all the difference in his insulin levels,” said Bianca. One thing that has made the process easier is a machine they started using five months ago called a Dexcom. “It is a blood sugar measure that sends the readings via Bluetooth to my phone and his. It means I can check his levels at any time during the day, particularly if he is at school,” said Bianca. The Dexcom is a small device that is attached to Mason’s arm and has a chip that records the blood sugar readings. 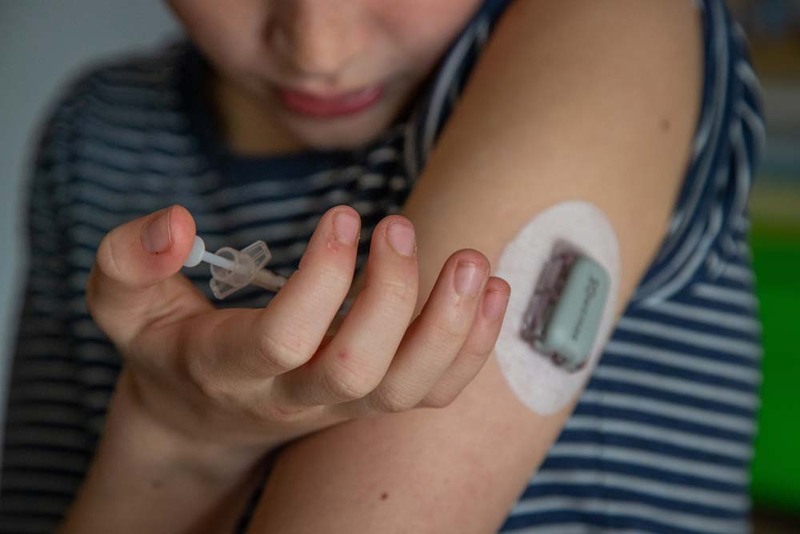 While a Type 1 diabetes diagnosis can be hard to process, Bianca says one of the best pieces of advice came from an educator at the diabetes clinic. With a family dynamic involving two other siblings, life can go back to some normality for the Savages. Diabetes is one of the most misunderstood health conditions. To clear the public confusion about what is and isn’t true, Diabetes Victoria launched a new ‘Bust a Myth’ campaign in early June, debunking the top five myths around living with diabetes.